Are you looking for Used Cars for Sale in the Calgary Area? For most people, there are few possessions that are more important to them as their vehicle. Not only do many people take great pride in their cars, but virtually all people rely on them to help make day to day life much easier and more convenient. As soon as you start to notice that your car is starting to get old and unreliable, it’s worth taking some time to look at the different car dealerships Calgary has to offer. There’s nothing worse than the moment when an old car finally fails to start on a cold morning when you’re in a rush to get somewhere, or when your vehicle breaks down while you’re out on the road, forcing you to call for assistance and throwing all of your plans for the day into immediate turmoil. We all know that the above situations can be avoided by investing in one of the vehicles for sale in our local area, but far too many people wrongly presume that the process of doing so is long-winded, stressful and expensive. But whilst new cars which have come straight to the dealership from the factory do tend to come with a hefty price-tag, there’s absolutely no reason that you can’t invest in one of the much more affordable used cars for sale here at House of Cars. Why choose a Car Dealership? Once you’ve decided that buying one of the used cars Calgary has to offer is the way forward, it can be tempting to try and avoid using a car dealership altogether by looking for private Calgary auto sales. Whilst this can sometimes be a valid option, there are naturally certain risks that come with buying your next vehicle this way – and buyers are always strongly advised to ensure they’re working with an established, reputable seller. Only at one of the reputable used car dealerships Calgary has available can you be completely certain that the vehicles you’re looking at are of a certain standard, and that they aren’t hiding any nasty secrets which will become apparent only after you’ve parted with your hard-earned savings and the seller has disappeared. Established Calgary dealerships must ensure that their vehicles are functional and safe in order to stay in business in what is an extremely competitive market. The expert help and advice that you’ll receive when you choose a trustworthy dealership like House of Cars means that you can be confident that your final decision will be an informed and sensible one which you won’t live to regret. Here at House of Cars, we’re proud to have built an extremely strong reputation for excellence in the car dealership industry. But it isn’t just our high standards and low prices that have made us so renowned amongst the various Calgary auto dealers: it’s also our commitment to providing attentive, comprehensive customer service. We understand that even the pre-owned cars in Calgary can sometimes be pricey, especially if you’re interested in a particularly prestigious vehicle. And this means that, for many people, buying their car outright is simply not an option. But while getting auto financing is something that seems straightforward enough for a lot of people, there are plenty of individuals whose low credit scores cause them to believe that their application is bound to be declined. Perhaps you’re a self-employed person or a student who finds it difficult to provide sufficient proof of a reliable, regular source of significant income? Or maybe you’ve faced financial hardships in the past and have had to file for bankruptcy, affecting your current credit-rating? Of course, it could simply be that you’ve only recently moved to Canada, and as a result you don’t have a traceable financial history in the country. Whatever the reason that you’re worried about accessing the finance you need, a member of our Financing Department will always be happy to work closely with you until they gain a thorough understanding of your situation, your preferences and your requirements. Then, they’ll be able to help you understand the various financing options available to you – and you’re bound to be surprised at just how many do exist, even for someone with a low credit score. With our help, you can rest assured that you’ll be able to get access to the funding you need to buy the vehicle you’ve got your eyes on, so there’s no reason to worry that you’ll end up having to postpone the purchase and settle for living with an unreliable car for the foreseeable future! Plus, with our Credit Rebuilding Program, you’ll easily be able to keep on top of timely payments, meaning that your credit score will start to improve, and things will be even easier next time you need financing. Calgary motorists have plenty of choices when it comes to deciding which used auto dealers to use. But here at House of Cars, we’ve always done things a little differently. 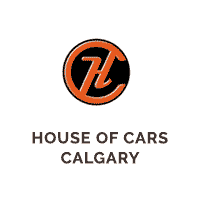 And, as a result, our customers recognize us as being the very best car dealer Calgary has to offer. Our team of experts work tirelessly to ensure that each and every vehicle we sell meets the same high standards of safety, functionality and appearance that we’ve always insisted upon. Every vehicle also undergoes a full CARPROOF mechanical fitness inspection, meaning that our customers can rest assured that everything is in top working condition. But regardless of how stringent our tests are or how high our standards are, there can of course never be a total, 100 percent guarantee that customers won’t ever experience any minor difficulties after their purchase. So to make sure that our customers have complete peace of mind that they’re covered and prepared for an eventuality, we offer optional comprehensive warranty packages for every vehicle that we sell.